I love running across strange little tidbits of information while doing research for various projects. Eyes and Ears, the cast member newsletter of Walt Disney World, had a section entitled Around the World, which featured a glimpse at different cast members and their specific jobs. 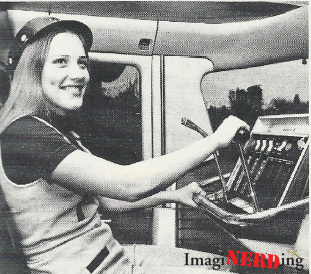 The March 03, 1973 edition offers a glimpse at two different positions: a monorail driver and a resort launch hostess. Check out this great book about the first decade at Walt Disney World.